On 23 April 2017 I’ll take part in the 26 kilometre Axedale-to-Heathcote race to raise money for Red Cross. I’m doing this because of a three letters exchanged between that organization and a young woman. Photographs from the first world war must be seen to be believed. Once you’ve seen and believed enough of them, they start to numb your mind. The endless black and white images of mud and destruction shade into one another. Shamefully, the young men in uniform become indistinguishable one from another. Different nations can be told apart, perhaps, by the shape of this helmet or the cut of that coat. But the ubiquitous khaki of the English-speaking nations causes Australians and Britons, New Zealanders and Americans to become a single mass. Even the most compassionate person tacitly comes to accept Stalin’s cynical observation that the death of a man is a tragedy and the death of a thousand is a statistic. It’s a partial reaction of course, because to men and women of the time every soldier was a son or brother or a husband or a boyfriend. And as we’ll see, total strangers in the Australian Red Cross cared enough to ensure that every one of their fates was recorded. Casualty went out to the attack on the 11th August at Pozieres near Chalk Pitts. He was killed outside the trenches by shell fire. I actually saw him killed. He was buried by the 5th Pioneers behind the lines. There was no mark put over his grave as far as I know. I was present at the burial. Jack arrived at Plymouth on 2 September 1916. His service record notes hospitalizations for different illnesses and that he rejoined his battalion in France on 22 November 1916. He was returned to England, suffering bronchitis, on 16 January 1917. He did not return to France until 9 August 1917. He returned to England on 22 October 1917 after suffering a gunshot wound to the left ankle in the Battle of Broodseinde. His record is tantalizing about what may have happened while he was in England; when we can say confidently is that he was absent without leave from 15-18 December 1917, and that he returned to France on 1 February 1918 and did not thereafter return to England. Jack’s battalion was caught up in the German ‘Spring Offensive’ of 1918 and by April of that year he was hospitalized with ‘trench feet’. And it was then that the care of a stranger came into play. A note in his Red Cross file dated 28 May 1918 records his whereabouts. Some person must have enquired after him, because a letter (apparently from the army hospital) to the Red Cross dated 30 May 1918 commences “In further answer to your inquiry for [Private Tuck] – We beg to inform you that …”(2). 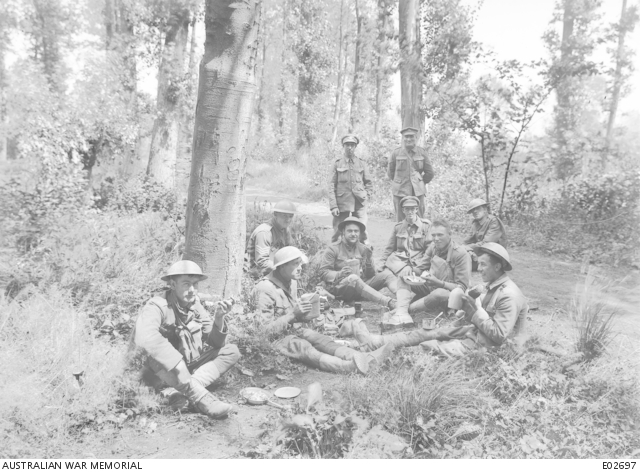 After Tuck’s discharge, the 21st battalion fought in the Battle of Hamel alongside newly-arrived American troops. On 23 July Tuck was wounded by a gas shell. Five weeks later, he rejoined his unit which then took part in the attack on Mont St Quentin on 1 September 1918 and the Battle of Beaurevoir on 29 September 1918. On 9 November – with the Armistice only days away – he was admitted to the 3rd General Hospital with influenza. On 14 November 1918 he died of broncho-pneumonia. In reply to your enquiry for 5126 Pte JOHN WILLIAM TUCK. 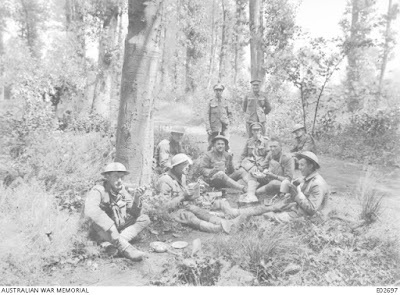 24th Battalion, AIF. We much regret to inform you that he died of Broncho-Pneumonia on 14.11.18 at 3rd General Hospital, B.E.F. Kindly let us know if you wish us to make enquiries for details of his death and burial. A further letter on 5 February 1919 advised Miss Allen that Tuck had been buried in Abbeville Cemetery. We can surmise that Miss Allen was Jack Tuck’s girlfriend. He cared about her enough to write to her between returning to France on 1 February 1918 and his last letter of 29 October 1918, and she cared enough about him to try and find him. The romantic in me likes to think that she was the reason he went absent without leave between 15 and 18 December 1917. I imagine that this was a common story. In each of the belligerents of the Great War there must have been many thousands of young men and young women who met, loved, lost and sought. Many must have been left wondering what happened to the young man they cared for and asking whether he had been too mutilated on death to identify, or run away, or been taken prisoner. Why am I raising money for Red Cross? Because these strangers cared enough about one young man in my family to find out what happened to him. (1) Statement of Cpl. S. Mahaffy to Red Cross on 18 June 1917. 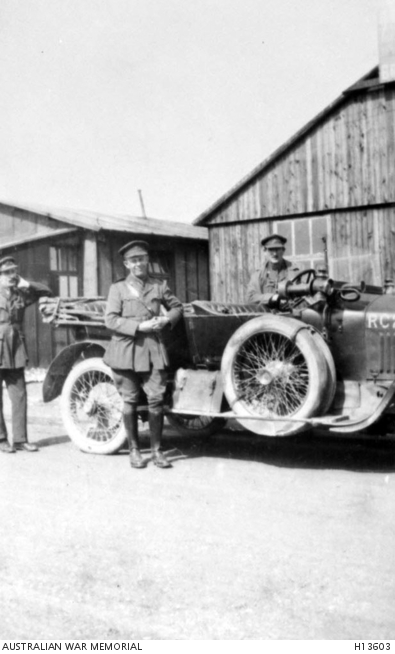 (2) The initial enquiry to the Red Cross has been lost, as has Red Cross’ enquiry to the army and their earlier reply. A long time ago, when I was an undergraduate, I learned about the founding of the Cistercian monastic order in the Eleventh Century. I remember being incredibly struck that people would willingly choose a life of the greatest hardship and devotion for nothing more substantial than an idea (ultimately this fascination saw me write my thesis on St Bernard of Clairvaux). Historically, the Cistercian ideal proved an attractive one, and iin the Middle Ages their austere ideal spread to even the most inhospitable regions. I have no call to the cloister, but in my daily life I hope to emulate a little of their courage, their simplicity and their love.